One of my favorite parts of this party (have I said that about every part? 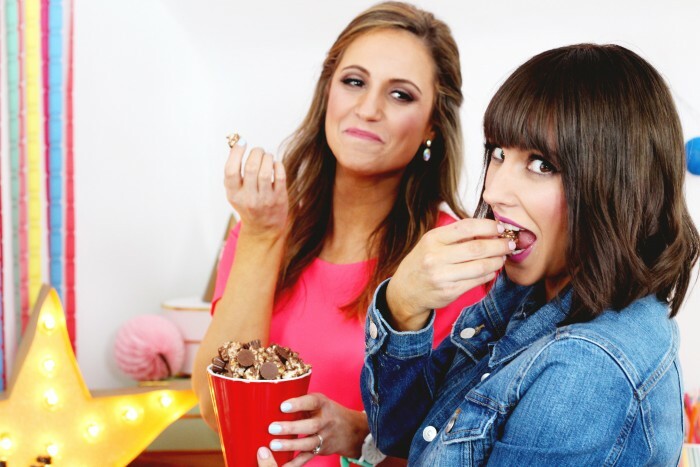 haha) was all the amazing popcorn seasonings we thought up that you can just sprinkle on your popcorn and have an amazing treat! We’ve all seen nacho cheese, and ranch popcorn seasonings, but have you ever seen red velvet, pistachio, chocolate peanut butter, or bacon salt?? I had, what I feel confident calling, a stroke of genius when I was coming up with toppings. Sure, some of these are just a dry ranch seasoning packet, and straight powdered sugar, but I thought of literally dozens of other ideas that are just as simple but way more fun and unique! For example: the red velvet and pistachio are….pudding packets!! That’s right, I just poured the dry pudding mix into a seasoning bottle and it. was. delicious. There are so many flavors of pudding that would be great on some kettle corn. Butterscotch, banana, white chocolate! I would’ve put them all out if I could! My other, similar idea, that was equally delicious and easy? Hot chocolate! With so many great flavors already out there: milk, dark, amaretto, orange, raspberry, there’s a whole other handful of awesome popcorn flavorings. p.s. for our nacho cheese we used mac and cheese packets and we found the recipe for bacon salt easily online. 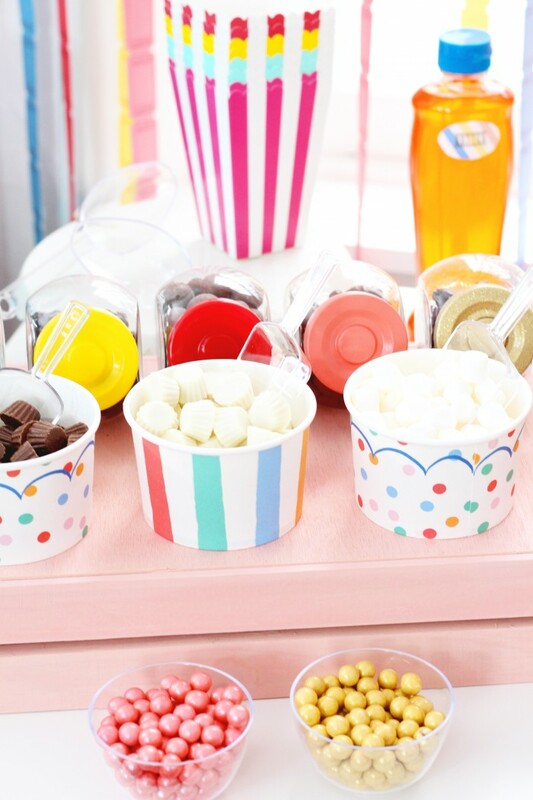 For other popcorn toppings so guests can make the best popcorn mixes ever, we used movie candies (malted milk balls, mini peanut butter cups, chocolate covered raisins), marshmallows, sixlettes, and a variety of sauces. Melted chocolate, warmed cookie butter (put on kettle corn and then sprinkle with powdered sugar and then die! 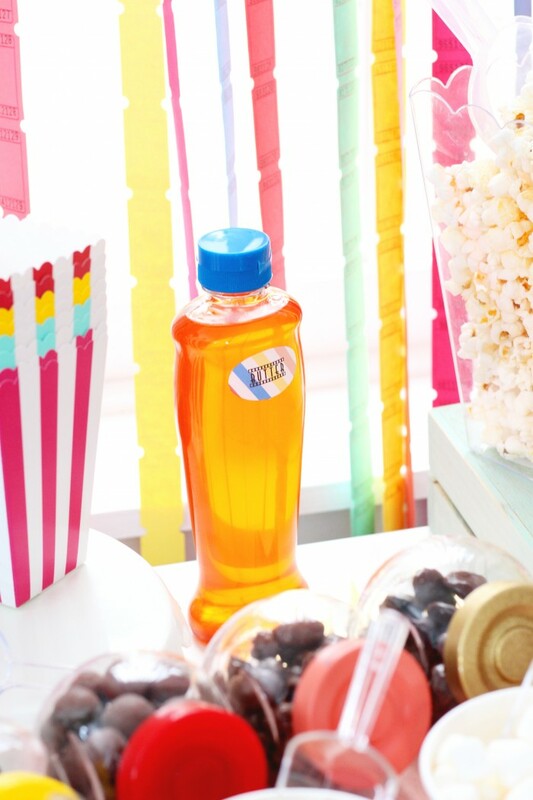 ), melted colored candy melts, and caramel all in squeeze bottles. 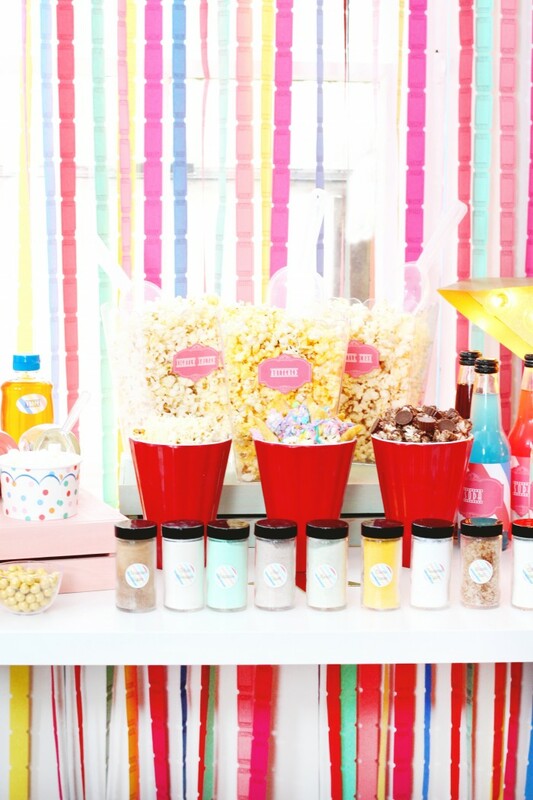 I have no doubt that this was the best popcorn bar ever created! Don’t worry, I spent weeks testing out all the toppings and creating recipes, so I know! 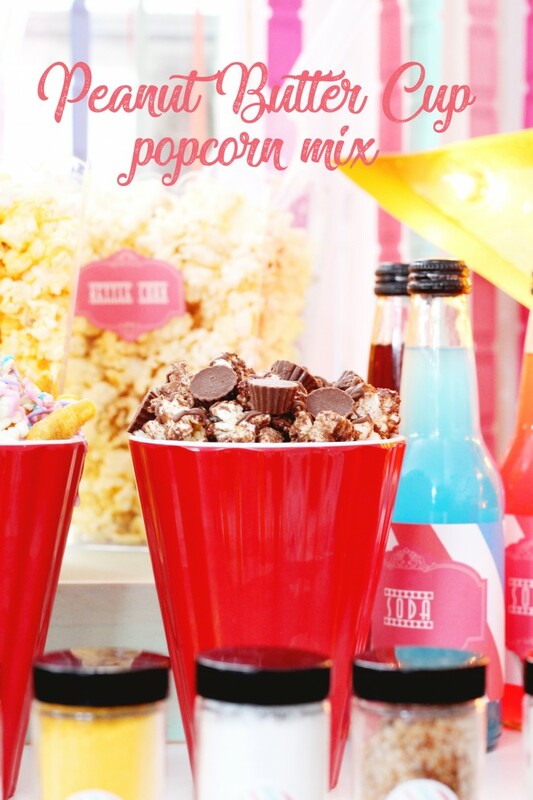 We went beyond just seasonings and toppings and put together three out of this world popcorn mix recipes to share! Our Peanut Butter Cup mix recipe and video can be found here. It’s kettle corn drizzled in chocolate, dusted with a chocolate peanut butter seasoning (powdered peanut butter + hot chocolate = more genius), and loaded with mini Reese’s. Mouth watering yet?! Our second recipe is Mozzarella Stick flavor. Its a savory mix that tastes just like the delicious food and features real mozzarella cheese. Recipe and video here! And lastly, the most fun-looking for sure, Unicorn Popcorn! We just couldn’t resist the unicorn food trend and we loaded up this sweet snack with all the colors, sprinkles, sparkles, and mini horns we could! For the party favor, Malissa designed a bunch of adorable movie-themed flair pins! 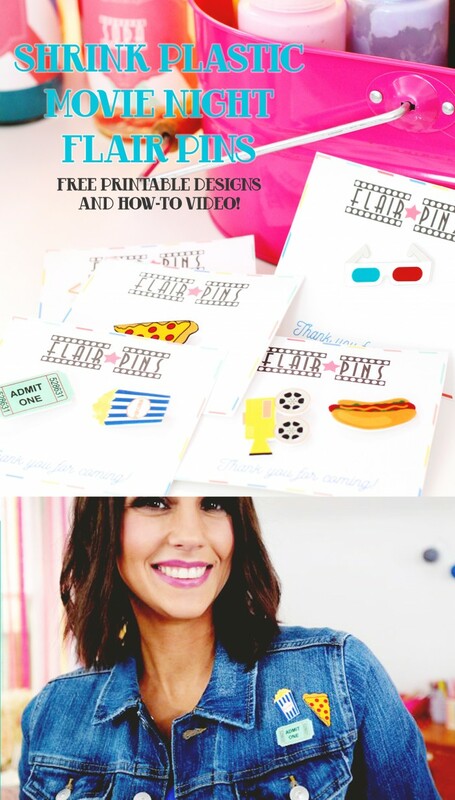 You can grab all the printables right here, and see how we made them! They’re shrink plastic so they’re super easy, and these fun flair pin cards make them even more adorable as a gift for your guests. 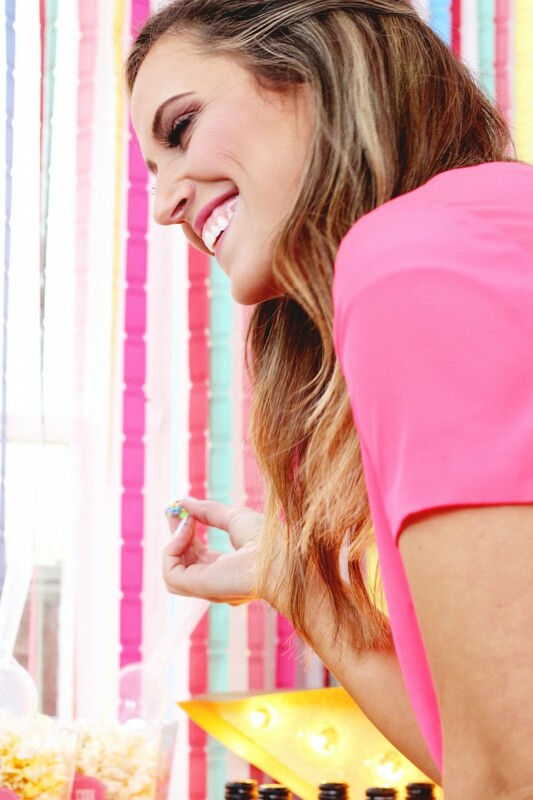 All ages will love them, plus flair is super trendy right now! They don’t need to stay at a movie party to be super fashionable :). Here is the step-by-step photos showing how we made them, and all the freebies. 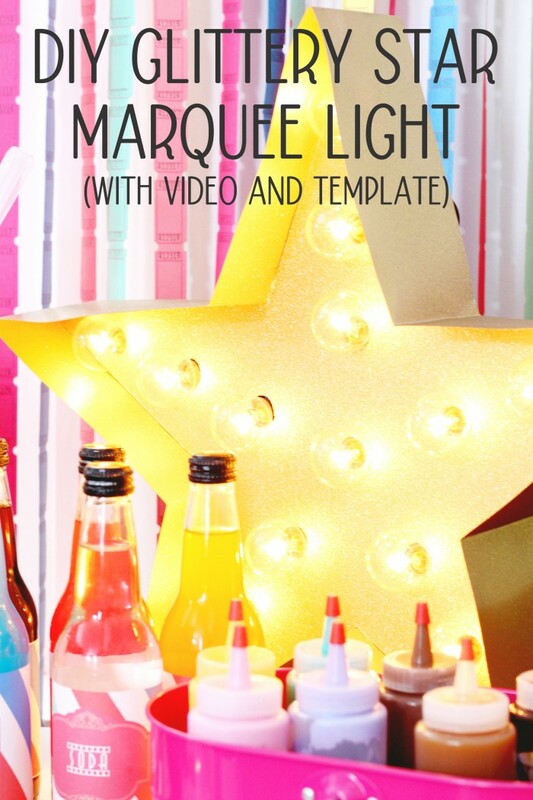 And, the last DIY of all, this super fun gold glitter oversize star movie marquee light! 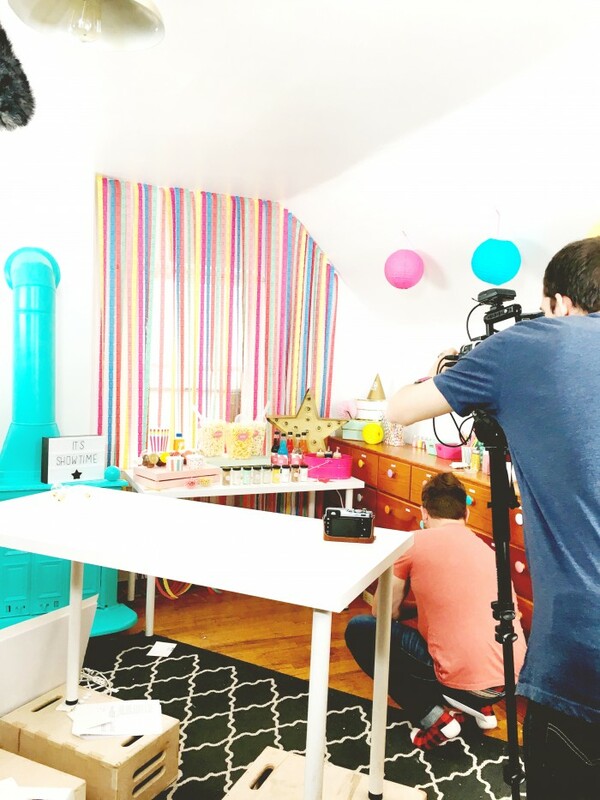 I love DIY marquee lights and have done many versions! This one is made from paper, making it super lightweight and is covered in glitter, making it awesome. Plus, I figured out a ridiculously easy way to draw a star! I’ve never seen this trick anywhere and I’m pretty thrilled about it. So head right here to download the template and for the tip! See the video of us making it here! That’s it for Party Starters! 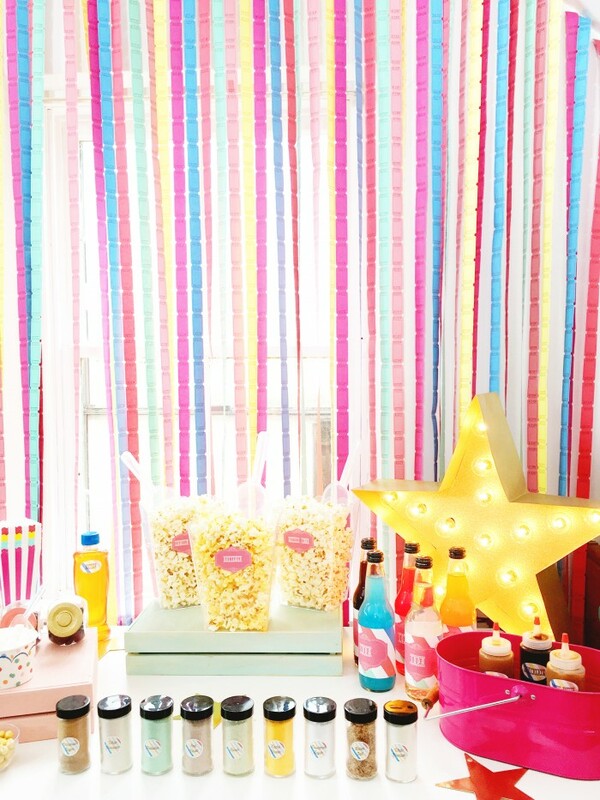 We had so much fun creating these parties and sharing them with you. Which one was your favorite?! Would you like to see more videos in the future? We have lots of fun stuff in store for 2018, and more parties to share so stick around!